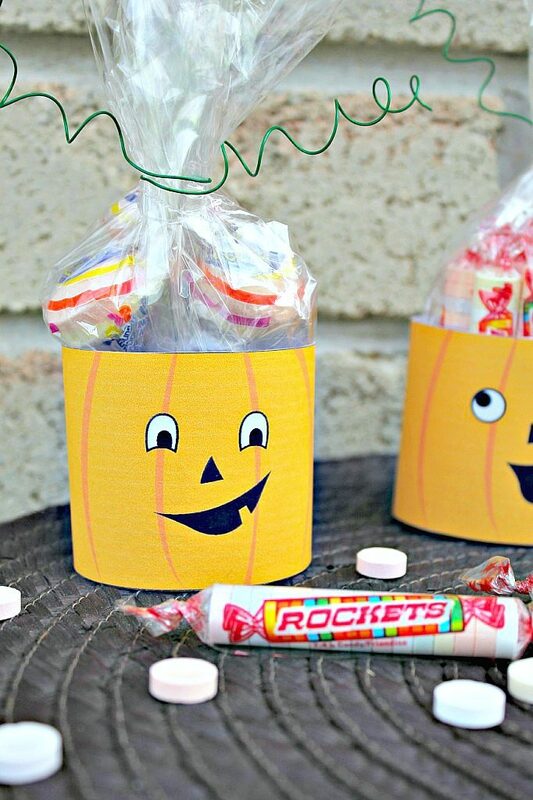 Super Easy Rockets Treat Bags! They kind of, well, rock. That’s right folks, you know when you see Rockets Candy in stores and simply pick up the bag, you can smell that delicious and most nostalgic smell through the bag. Well, when you do that, you know Halloween is right around the corner! Fun fact: Did you know that in the US, Rockets are called Smarties? Last year, I visited my cousins in Florida and decided to bring them our version of Smarties since they’ve never tried them! Every year my husband and I love making things for Gabby’s class. Almost always, we send along Halloween themed cupcakes and treats if the teacher allows. I had the opportunity to make a simple, easy and quite tasty I might add, craft. One that ANYONE can make! First thing is first, get your hands on some delicious Rockets! You can find them at your local Dollarama, Walmart and Costco. Next, you simply print out this Jack O’ Lantern clip art on a 8½-by-11-inch card stock and print it out. That way they are thick enough to be sturdy enough to hold your Rockets treats! 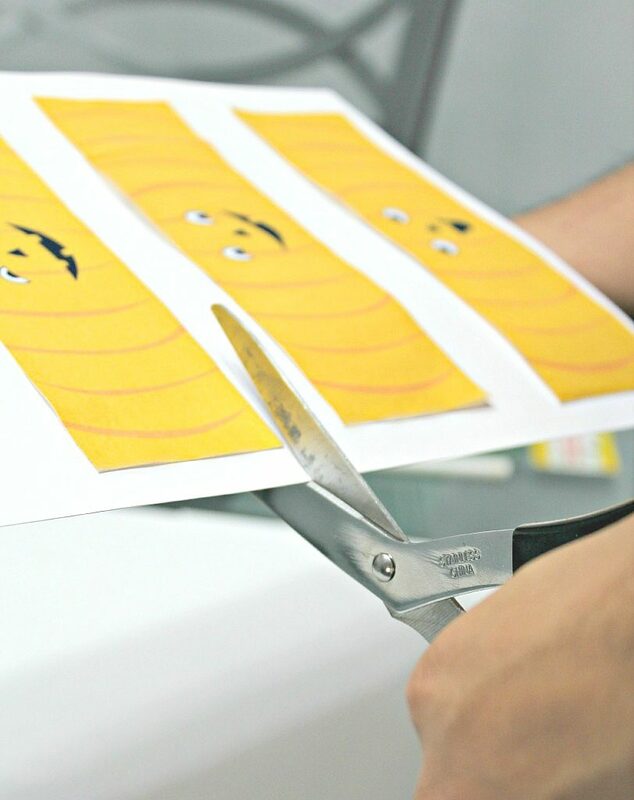 Cut out your Silly Rockets Jack O’ Lanterns and if you’d like a more funky shape, use the pinking shears to cut the top of the Jacks. I decided to leave mine straight. Normally using cellophane bags would be the easy route but since Rockets come in all fun sizes, you have to custom make the baggies. 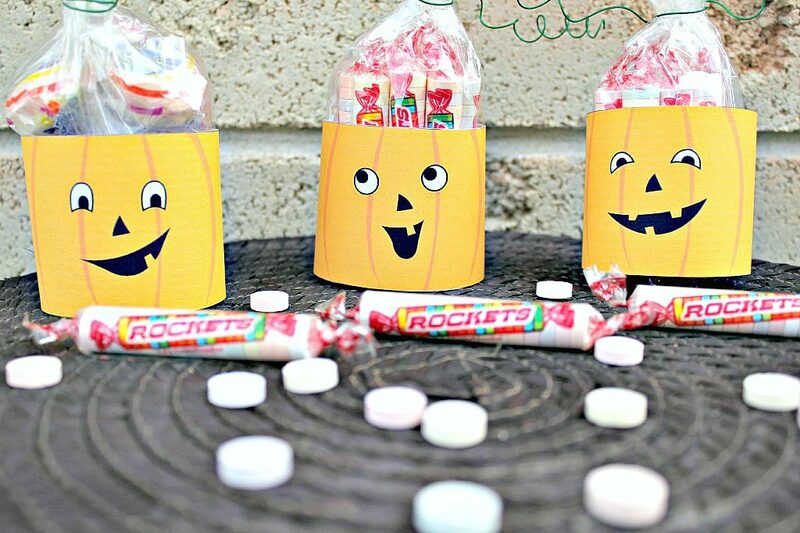 So, cut out the cellophane in squares that match the height and width of your Rockets treats. Secure the treats by using an elastic, it won’t be seen since it will be covered. 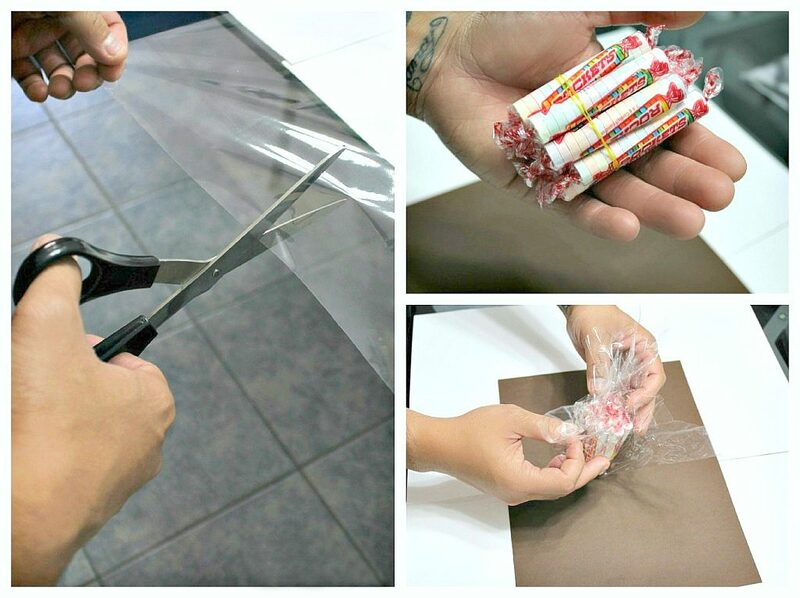 Place treats in the center of the square and gather it to the top until you’ve made a closed and secure bag over the Rockets Candy. Use a clear elastic to secure the bag. 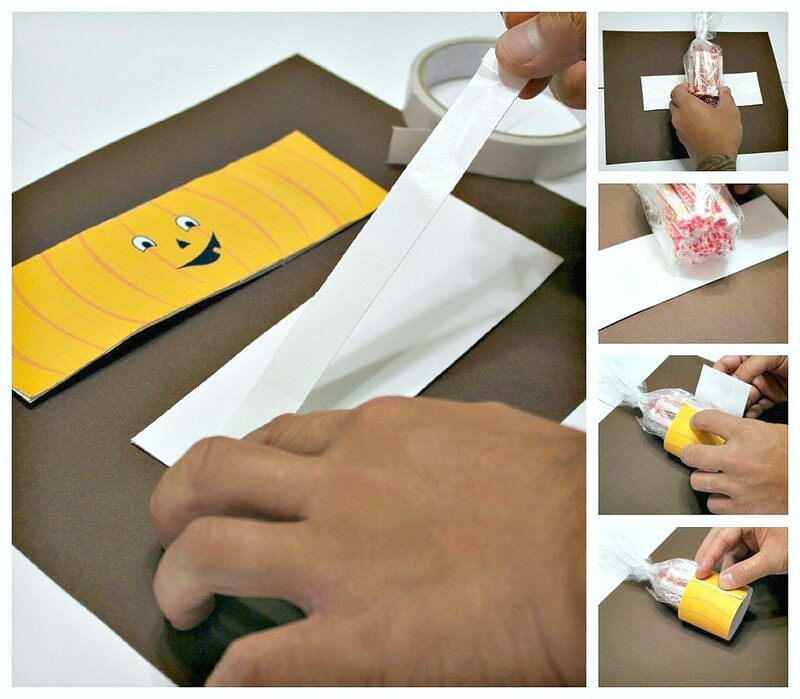 Once you have finished your treat bags, grab your double sided tape and attach a piece that runs the length of the Jack O’ Lantern and place the treat bag in the center, then wrap the two ends around the bag so that both ends line up neatly in the back. 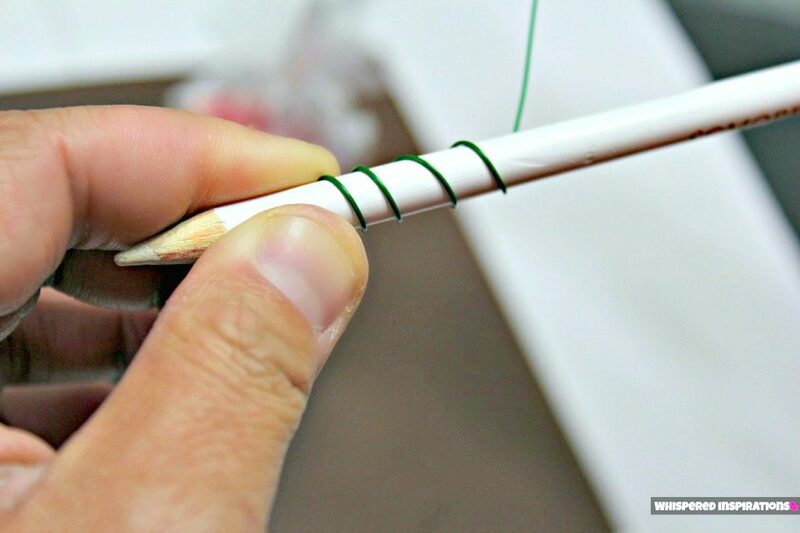 Grab your pencil, floral wire and start winding your wire around the pencil, remove the wire and stretch it out to your liking. Place the wire around the top of the bag covering the clear elastic. Once you add the wire stem, you are done! Get ready to hand these out to your neighborhood kids, your kid’s classrooms or as Halloween Party favors! 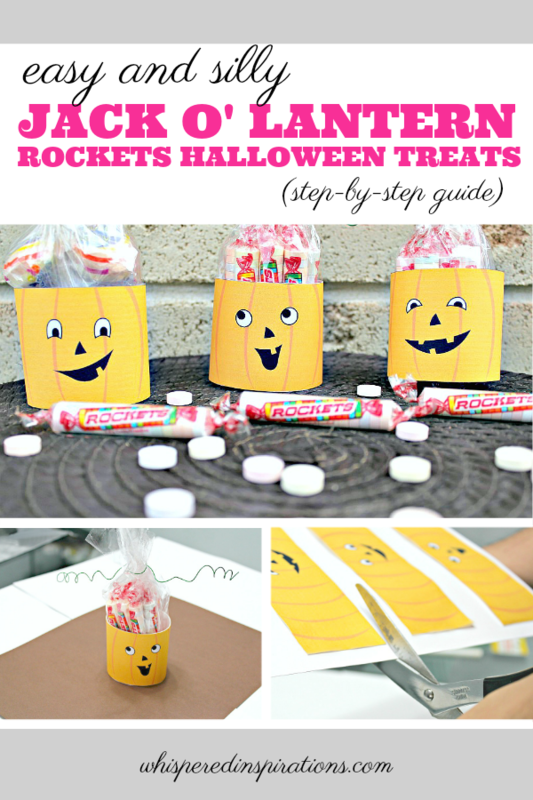 I hope you liked this super easy tutorial and what’s best is that they are filled with an all-time classic and favorite Halloween treat, Rockets! If you want to see the latest from them, visit Rockets Candy and see what’s up! You can also follow @rocketstweets and like them on FB, here. I know that any kid would love getting a treat like this and kids sure do love Rockets! Gabby and her friends here in the neighborhood have sure enjoyed them! 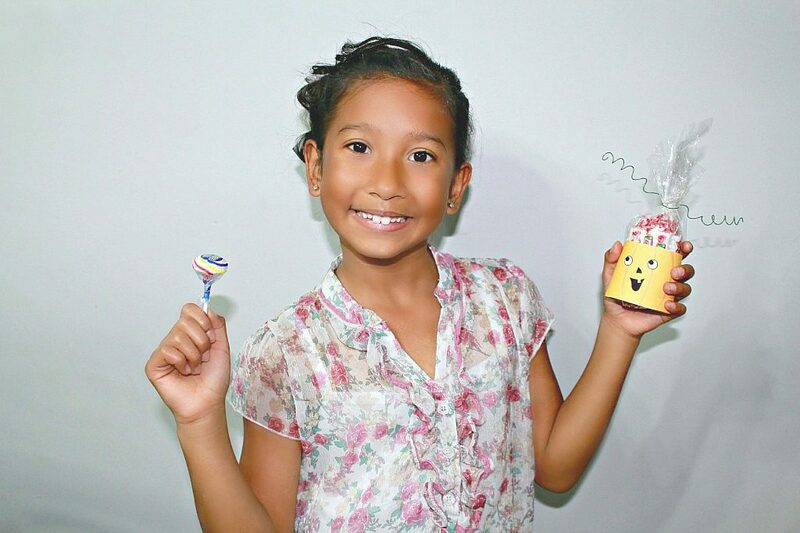 Do you ever give out homemade gifts to your neighborhood kids? Let me know, til next time, cheers m’deres! Note: Originally posted on October 4, 2012. We love the Double Lollies here. Definitely the Double Lollies! Those were my favorite when i was a kid! Double Lollies too! I didn't even know they were Rockets. 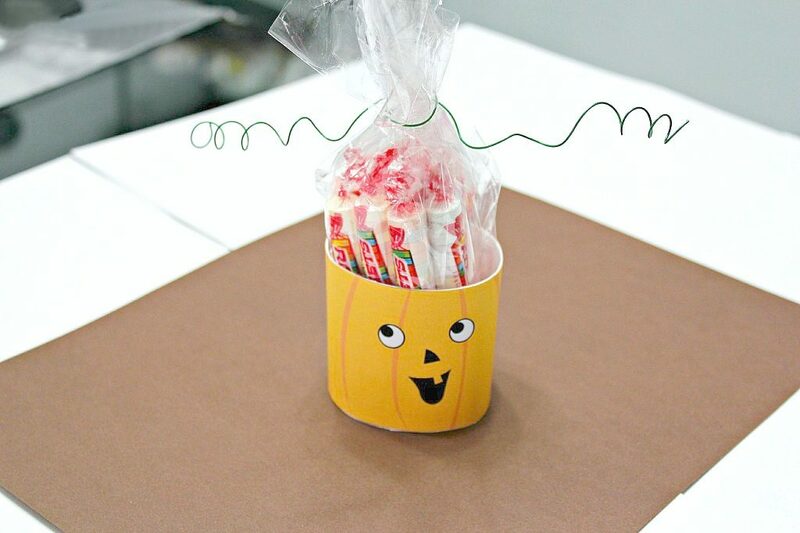 Cute craft project and idea for Halloween! Oh wow! What an amazing post. Great ideas for this coming week. Now, I would say Super Assortment would be our fave. I love the regular ones and giant rockets the best! Yum! Such a cute idea! Love the printable! Regular Rockets all the way! I make sure we save a stash for ourselves! Rockets Mega Double Lollies are my favorites! So yummy!! My favourite is Rockets®, the classic! They do and they are even bigger awesomeness! I like the Super Double Lollies. Double Lollies for sure!! yum! I will be bookmarking these for the season,they are so cute ! They are one of mine too! Hehe, yeah… they really are cute. Think we will make these this year! So cute!